← So When Do I Eat This Thing? Okay, here is one of the cucumber sprouts and one of the OTT sprouts, or is it the OTT sprout and the cucumber sprout… amazing how similar certain sprouts look until they get their first real leaves. Any guesses? The rest of bed 3 and bed 4 are doing pretty good. 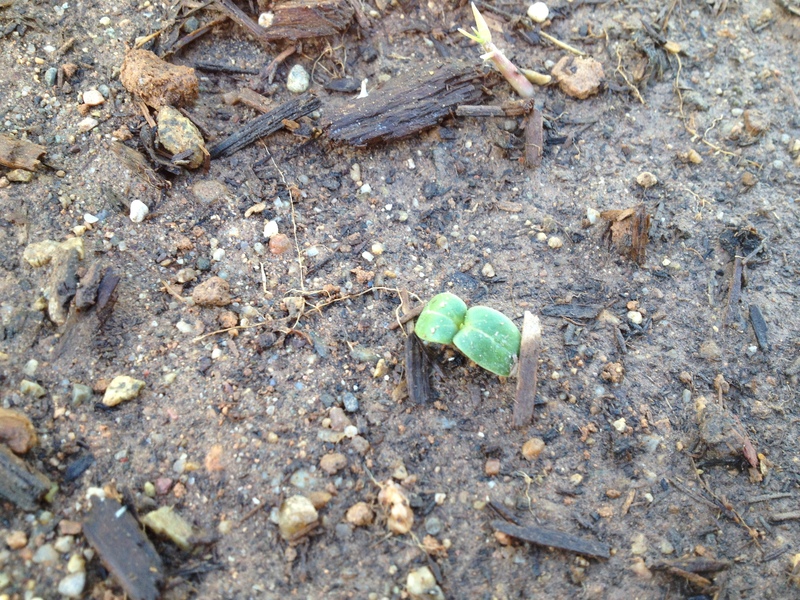 Some of the plants took a little beating with the wind we had the other day, but everybody looks like they’ll make it. 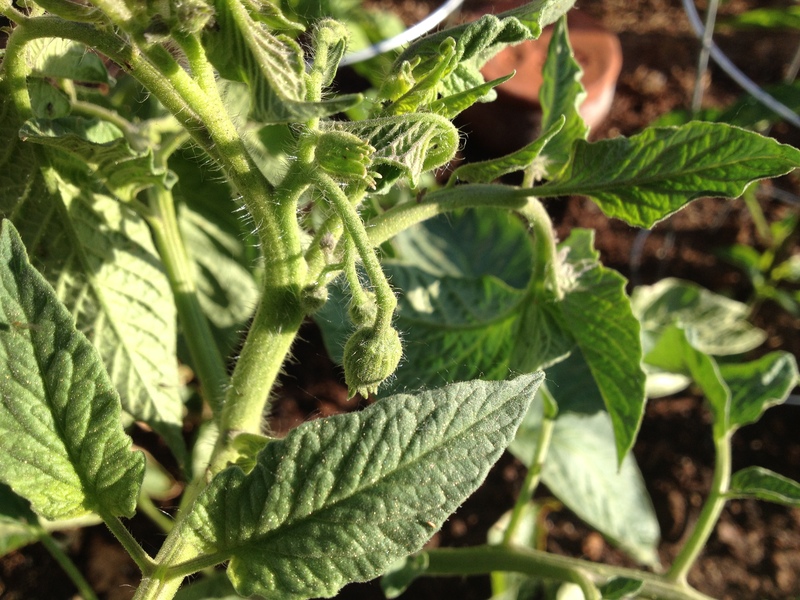 In fact some of the tomatoes are getting some flowers. As thick as the main vines are… I’m actually going to let these make fruit. If the plants were smaller I’d probably pull them off, but the plants are looking really good, so… let em grow (ugh… that reminds me of that song… it was stuck in my head for the longest time. I’ve moved on to, “do you want to build a snowman”… killing me). 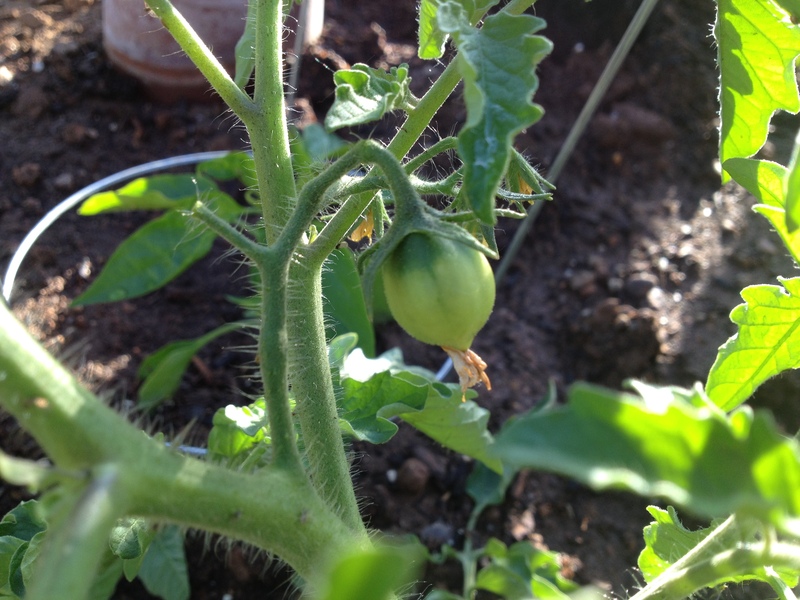 And the first tomato of my tomato growing season! Okay, so it’s got a little ways to go… but it’s looking good! 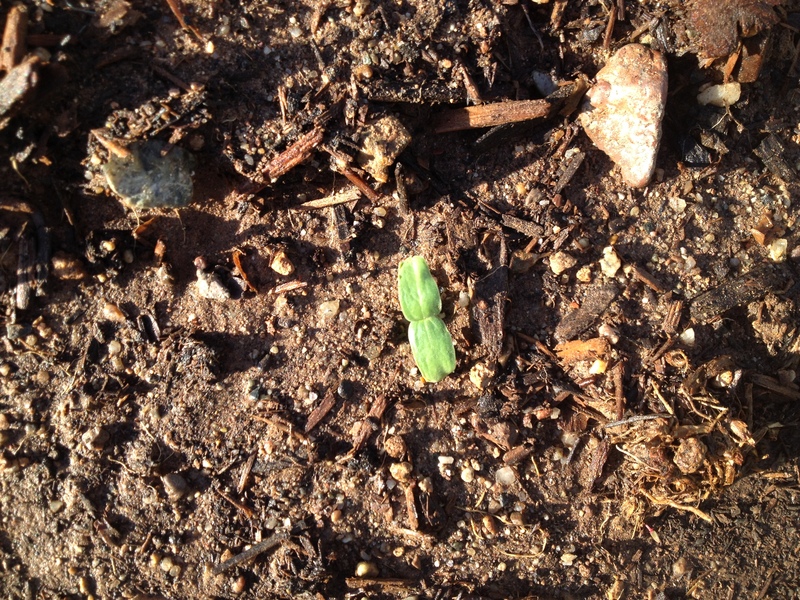 This entry was posted in Arizona Garden, cucumbers, Old Time Tennessee Melons, tomatoes. Bookmark the permalink. haven’t sown cucumbers, squashes and melon. Wouldn’t be direct sown either. A yoghurt pot on window sill to start. Jones, It’s time to start my tomato, green pepper, and eggplant seedlings on the heat mat. It’s still too cold to put out the second round of cabbage and onions. I gave up trying to save the first round. The cabbage is still alive but looks pretty sickly. I’ll probably replant them in another week or so when the weather warms up. Have a great sprouts, flowers, and fruits day. That’s kind of funny to think about since I’m ready to harvest what will be the last of the cabbage. It doesn’t make it very far into April. Sounds like you are about to have a lot of fun though!